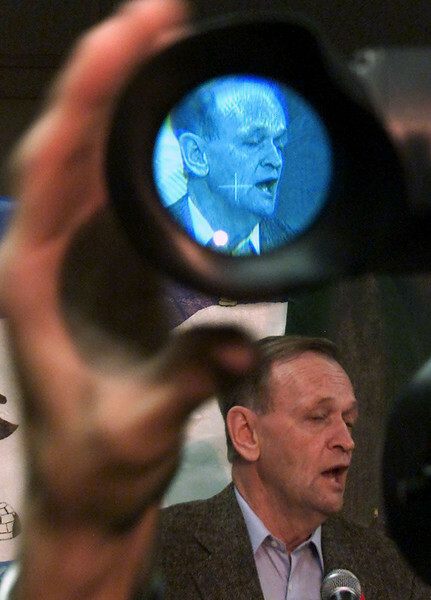 Prime Minister Jean Chretien is shown through the eyepiece of a television camera as he holds a news scrum while on an election campaign stop in Montreal, Sunday, November 5, 2000. Chretien and the other party leaders will take part in televised debates this week. (CP PHOTO/Fred Chartrand.